Derived from the Latin word, ‘angelus,’ the word ‘angel’ originally translated to ‘messenger of god.’ Typically, angel figures are related to one’s spirituality. But, they can also represent earthly sentiments, like romantic love, wrath, and doubt. 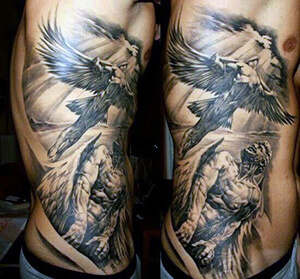 Below, we’ve compiled an angel-themed tattoo design dictionary. Read on, and learn about the meanings behind these radiant designs! 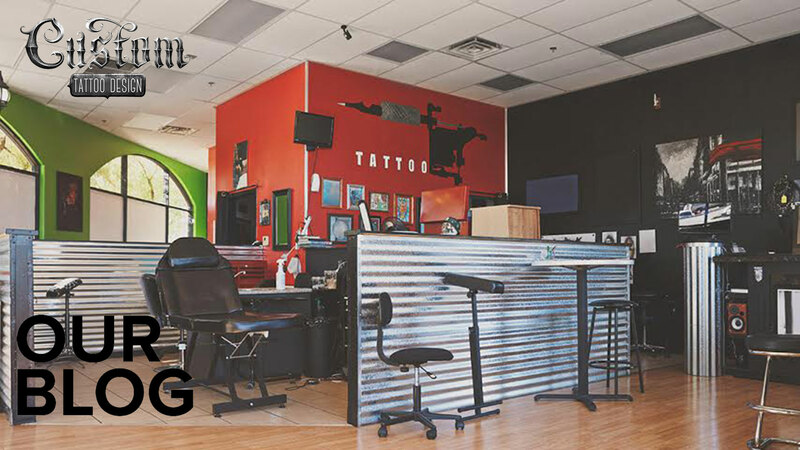 Angel Wings: these elegant tattoo designs represent freedom, protection, and the need to be close to god. 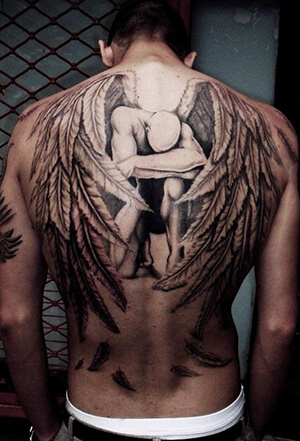 A tattered or broken pair of angel wings symbolizes a struggle with one’s faith. Archangel: the archangels are the ‘chief angels,’ who hold a seat of power in the Angelic Choir. Each one has a specific responsibility, and there are 7 that can be identified by name, the most famous of the group named Michael. 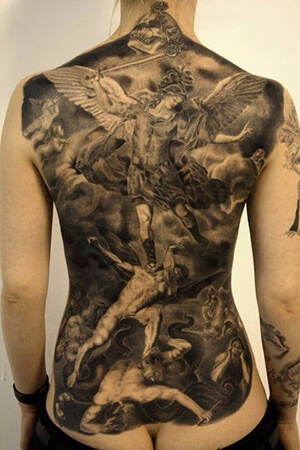 These angelic figures show a special connection to one’s religion as tattoo designs. Angel of Death: also known as the ‘Angel of Destruction,’ this angel is symbolic of fear and death. 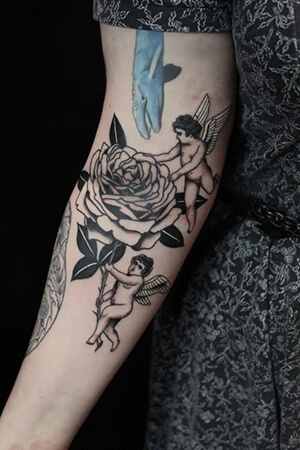 Cupid: also known as the ‘Baby Angel’ or the ‘Cherub,’ these tattoo designs represent innocence and romantic love. 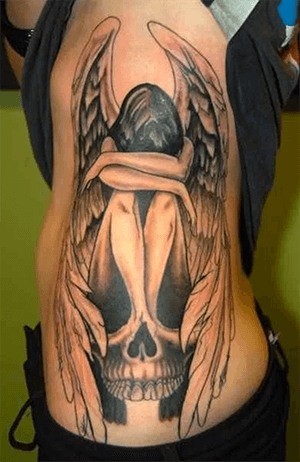 Fallen Angels: these tattoo designs often depict an angel with a broken wing. Lucifer is one of the most famous fallen archangels, and he represents the loss of paradise. Flying Angels: these soaring angel figures are symbols of rebirth and resurrection. They have close ties to Christianity, and they represent the ascension of Christ into heaven. Guardian Angels: these angel figures are a special kind of angel, charged with the task of protecting mankind. 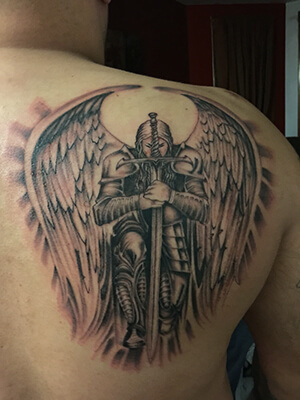 Tattoos of guardian angels symbolize protection and rightful guidance. 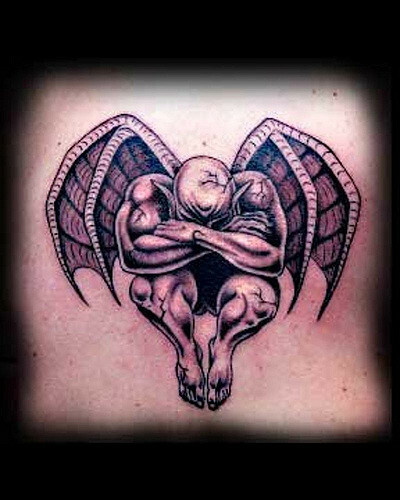 Praying Angels: often shown with their hands put together, slightly bowing, praying angel tattoo designs symbolize the need to connect with god. In following with Biblical tradition, prayer is how man communicates with god. Praying angels also symbolize guidance, protection, and divine intervention. These spirits which act as intermediaries between heaven and earth have a long and special history in many religions. Long before they were depicted as tattoo designs, angels were the subject of many artists’ paintings and sculptures, adorning churches, homes and museums across the world. 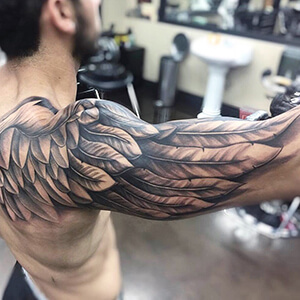 If you know about other important angel tattoo designs, let us know about them in the comment section below!